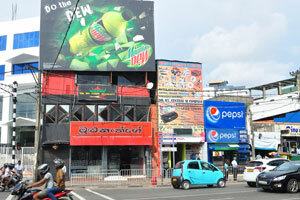 Vision Plus Eye Care optometrist. 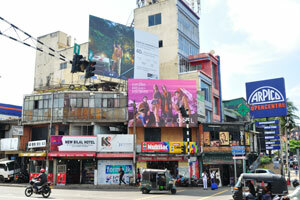 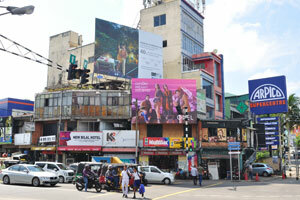 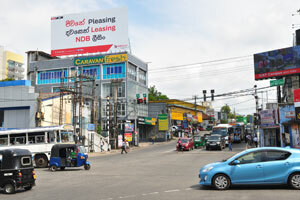 S De S. Jayasinghe Mawatha street and Colombo - Horana road. 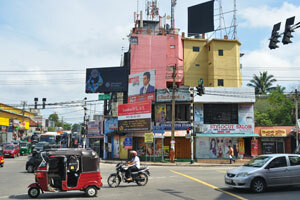 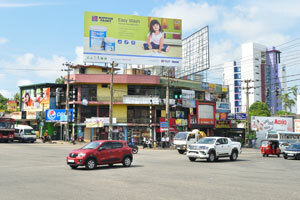 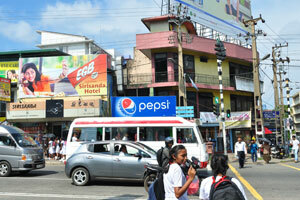 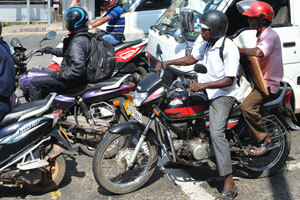 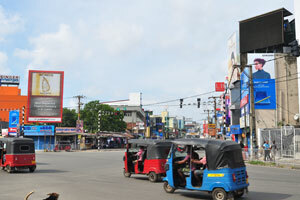 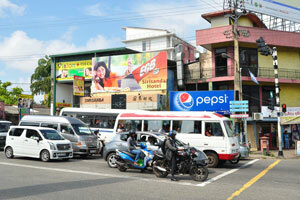 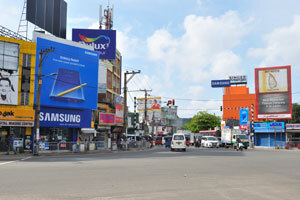 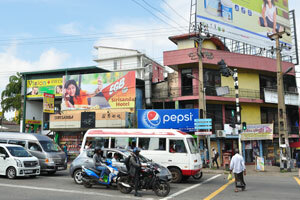 The traffic of vehicles is heavy in Negombo. 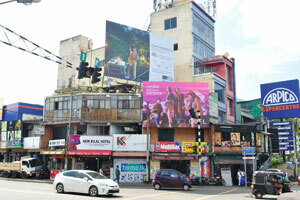 New May Flower chinese restaurant. 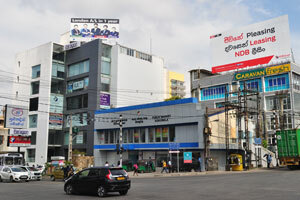 Kodak Express Digital Solutions photo lab. 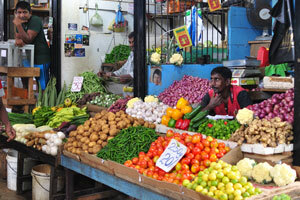 Bombay Sweet Mart candy store. 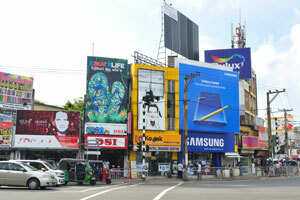 Singer Mega Showroom electronics store. 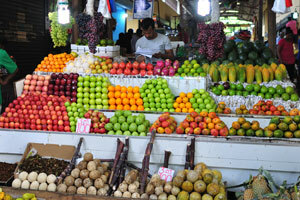 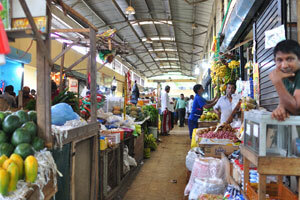 Fruits are for sale at Nugegoda Market. 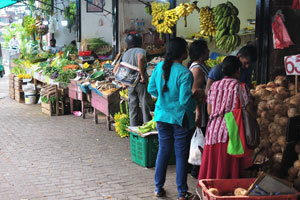 Bananas and coconuts are for sale at Nugegoda Market. 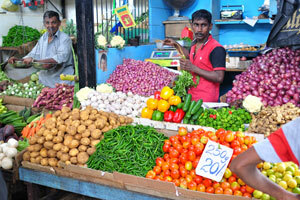 Vegetables are for sale at Nugegoda Market.